CATCHING UP: for the ART of it! Celebrating summer and sunny colors, I recently stumbled on the works from NYC artist Greg Kessler. ‘Sunny Girls of Summer! !’ was my initial reaction to the color happy oil paintings immersed in yellow and tangerine tones. Though the art is a mix of new and old muses, the archetype of woman- be it in mythological, cartoon, iconic, or abstracted form, the girl mood in action (or not) caught my eye. 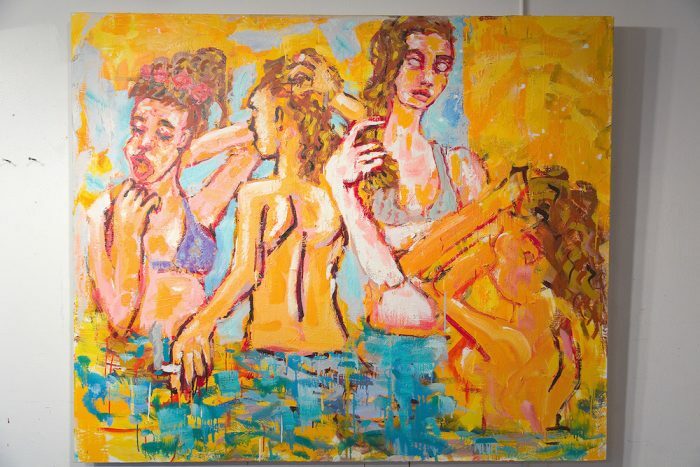 Taking a closer look, we checked out Kessler’s recent open studio in the West Village and chatted with the artist. Like abstract expressionists, Kessler uses unconventional methods to arrive at his final work, with color playing a dominant role as emotive content. Here’s a glimpse of what we’re loving, up close and behind the scenes captured exclusively by Randy Brooke for FashionDailyMag. Greg Kessler graduated with a BFA from Carnegie -Mellon, and an MFA from Yale. He has held exhibitions in New York, Washington, D.C., Texas, Istanbul, and China. 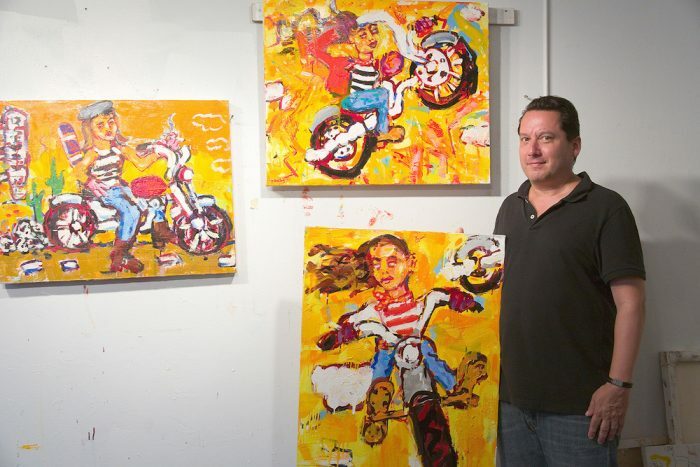 up CLOSE: ARTIST GREG KESSLER commentary by Brigitte Segura. photo credit: Randy Brooke | FashionDailyMag. follow us for up to the minute curated fashion. + a sprinkle of art.